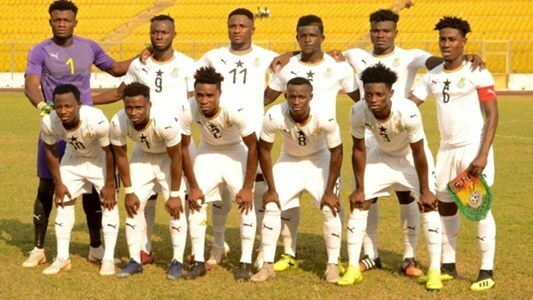 The Professional Footballers Association of Ghana (PFAG) has urged the national U23 team, the Black Meteors to overcome the challenge posed by Gabon in their quest to clinch a Tokyo 2020 Olympic Games ticket for the country. The Meteors, under the charismatic leadership of Coach Ibrahim Tanko, are aiming to post a convincing first leg victory over the Panthers of Gabon at the Accra Sports Stadium on Saturday. Qualification to the Olympiad has eluded Ghana in recent times, but this current batch of Black Meteors look set to return Ghana to the Olympic promised land come the summer of 2020. In order to realize this dream, Ghana first need to defeat Gabon over two legs to claim a spot at AFCON U23 competition to be staged in Egypt this November. The PFAG is confident that Coach Tanko’s well drilled selection of locally and internationally based professionals will indeed rise to the challenge, defeat Gabon and ultimately pick their ticket to the Olympics next year. We remain with them and for them!